The weather is getting warmer and you know what that means. The insects are coming back. Flies will start infesting your home if you happen to live in a place where flies are a problem. Which is everywhere. 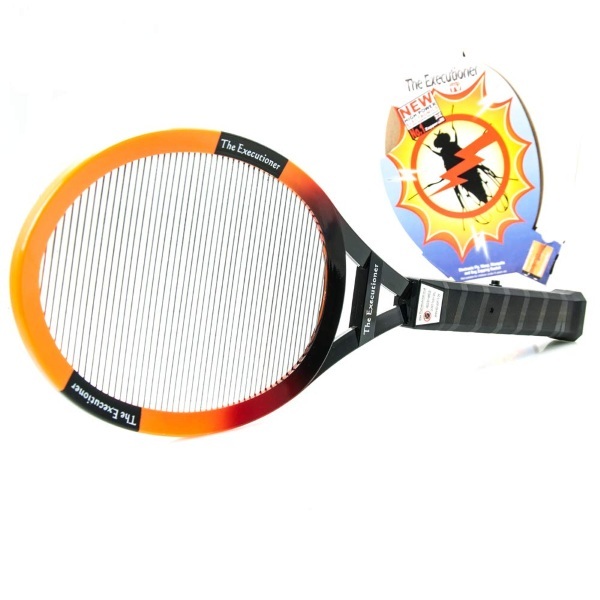 Get a work out while you take them out with the Executioner Fly Swatter. This thing looks like a tennis racket but instead of neon colored balls, this thing is all about the death of small winged insects. Power it up and swipe at them. When the bug is caught in the wires, it’s goodnight forever for them. It runs on two AA batteries and the charge isn’t enough to do more than shock you but for the insects you swat with it, it’s generally enough to kill, or at least stun if they don’t take full force of it. Take care of those pests with a little electric power for $23.50.